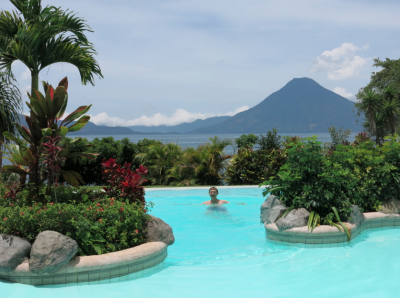 Hotel San Buenaventura de Atitlan is a family owned and operated 4 star Extended Stay Hotel located at the edge of Lake Atitlan, near the town of Panajachel, in the Guatemalan Highlands. 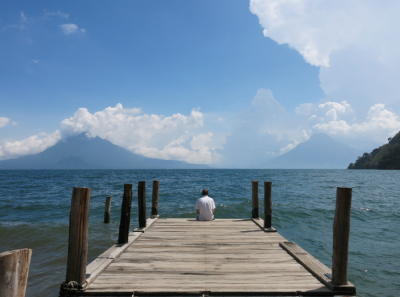 For those who haven’t been to Atitlan before, the lake was formed by a volcanic caldera and is the deepest lake in Central America. 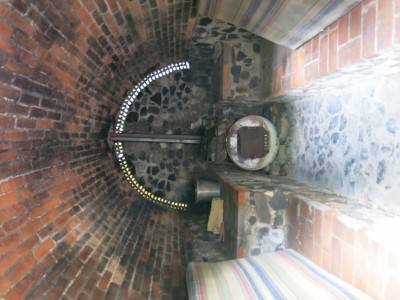 It is surrounded by picturesque volcanoes and escarpments. The Kaqchikel Maya make up 95% of the local population and have a vibrant and colorful culture. Imagine a hotel nestled in such a stunning environment. The hotel has fully furnished and equipped finely designed houses that can lodge from four to six guests comfortably, suites for two and standard hotel accommodations ideal for one or two guests. While we list standard fixed rates through travel agencies we are flexible and frequently offer specials, depending on season and circumstance. Because of the impact of the global economy on international tourism, now is an especially good time to contact us. Their facilities include a bar and restaurant, heated pool, Mayan sauna or “tuj”, Jacuzzi (below) and areas to rest and relax at our private beach. If you wish, you can rent a bicycle to ride on our roads and trails in the old Hacienda San Buenaventura. At the front desk, you can also rent kayaks that you will find at the beach. They also have a pier and boat services so you can visit the Mayan towns around the lake. The location is ideal since they are adjacent to the lake-front community of Panajachel, which has banking, shopping, live entertainment and other tourist attractions. The hotel creates tailored programs built around conferences, seminars, and retreats to suit your special interests, a fantastic getaway spot. They also offer guided tours that explore the Mayan cultures. The area around the area houses a valley as well as the stunning and renowned lake. 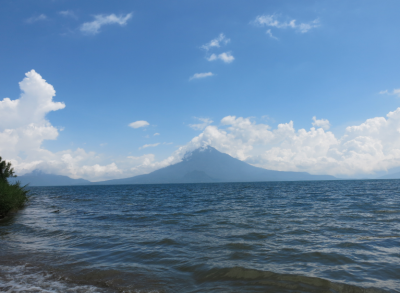 The Valley is home to coffee groves and the Atitlan Nature Reserve, dedicated to protecting the flora and fauna of the Lake basin and to environmental education. This Reserve is open to the general public and features signed nature trails, a butterfly preserve, hanging bridges that cross picturesque ravines, and a zipline that traverses the natural forest canopy of the Reserve. 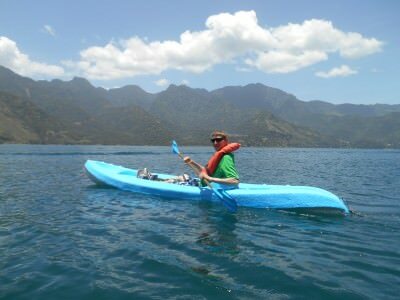 You get to Panajachel after a short speedboat ride across the lake from San Pedro La Laguna. 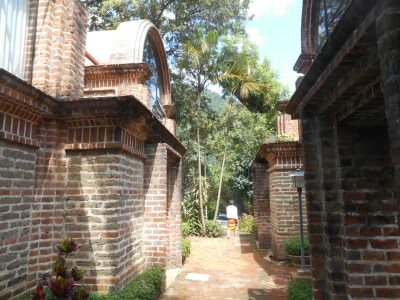 Also check out the cosy “Writer’s Lair” at Posada Los Encuentros before heading over if you are an artist at heart. Hotel San Buenaventura is on the lake and has a stretch of beach, and offers private beach for stretches at a time. The on-site swimming pool has exquisite views – the ultimate place to go for pure peace and tranquility. Kayaks for guests are complimentary. 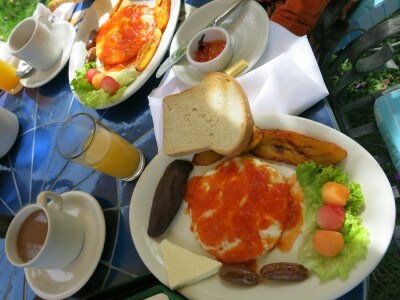 They offer delicious breakfasts — try the Desayuno Tipico which comes with coffee and juice.